The International Olympic Committee (IOC) is launching the first ever Olympism in Action Forum in Buenos Aires, Argentina, on 5 and 6 October 2018. This new event is another concrete example of the implementation of the reforms outlined in Olympic Agenda 2020, the IOC said. “Taking place just before the third edition of the Summer Youth Olympic Games, which will gather together the world's best young athletes from 6 to 18 October, the Olympism in Action Forum will aim to engage openly with the broader public and discuss how sport can create positive change around the world. The juxtaposition of the two events will also shine a spotlight on fresh thinking and new trends in sport. Conversations during the Forum will take place through a variety of innovative formats, including plenary debates, collaborative workshops, live interviews and constructive and interactive dialogues with a diverse group of speakers and guests,” the IOC said. 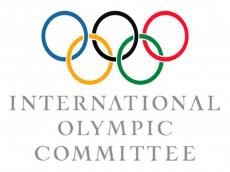 “The Forum will bring together some 1,500 participants from all spheres of society: athletes, International Federations, National Olympic Committees, business partners, UN agencies, NGOs, governments, private and public-sector leaders, academics, the media and artists,” the IOC added.